Norman started his career in the private sector soon after he graduated from the University. Having worked in the logistics and I.T. industries of several MNCs, he decided for a switch in 2008 to pursue his interest in the Chinese Language and went on to obtain his Diploma in Teaching Chinese Language. In the summer of 2008 Norman went to Shandong University and completed a training program awarded by the Office of Chinese Language Council International (Hanban) for teachers of Chinese Language as a foreign language. 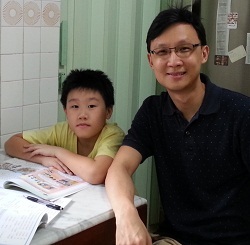 Since then he has been working as a regular relief teacher in various Singapore primary and secondary schools. 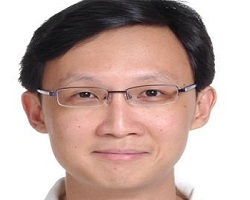 He is also a member of the Singapore Chinese Teachers Literary Recital Society. Norman is also a certified teacher with the Ministry of Education to teach Chinese to Malay and Indian primary pupils. During school holidays he is often engaged by the premier educational institution as an instructor for various Chinese enrichment programs. Norman tutors each student diligently, making sure they are equipped to perform well for tests and assessments. His approach is to stimulate students’ interest. From there students will naturally achieve academic excellence when they are inspired to discover more about Chinese language. When teaching weaker students, he emphasizes on oral diction to improve a child’s level of confidence in speaking the Chinese language. As students become more competent, Norman will introduce reciting performing skills to bring them a step higher.